The Rivers are running high! 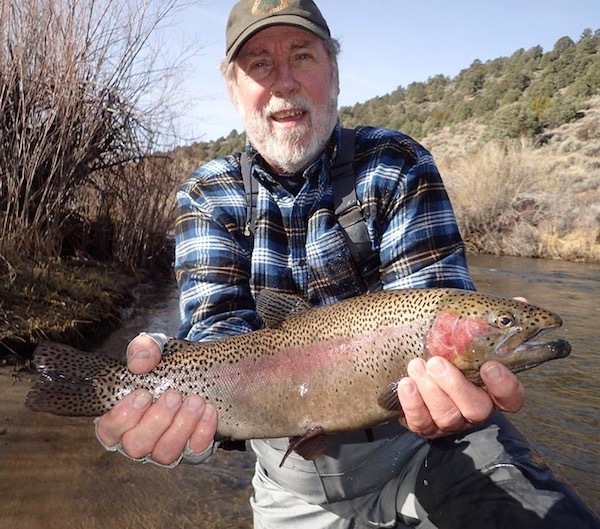 Tom Loe of Sierra Drifters Guide Service does an on the spot report looking at McGee Creek during a period of high run-off on 4/8/18. The culprit was heavy rain at upper elevations causing many of the rivers and creeks of the Eastern Sierra to become swollen with turbid water due to run-off. The Middle Owens is flowing at 350cfs., Hot Creek and the Upper Owens are also running very high and not fishing well. This condition will slowly improve next week as the temps cool down and the run-off becomes more seasonable. East Walker flows have come down temporarily making water conditions much improved.